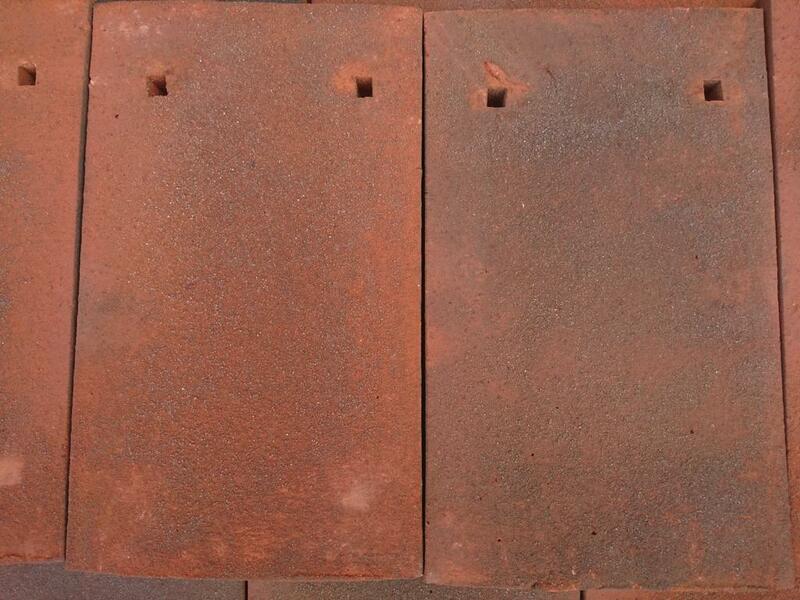 Traditional brand has introduced a new Kent clay peg tile to its portfolio of handmade clay rooftiles. Since the Middle Ages some buildings in the UK have had a distinctive clay peg roof tile roof covering, particularly in the South East of England and Kent. Our Kent peg tile has been subjected to aesthetics, which we have now introduced into our tile to best adapt to the challenges of renovation projects. The colours differ from warm orange shades to quite dark colours. Fired in a coal-fired kiln causes a natural blend of shades to suit most clay peg tile renovations projects. Kent peg tiles may have slightly different tonal shades, which will add to the finished weathered appearance. For generations, we have been making handmade clay roof tiles. The firing takes place in a coal-fired kiln, which has a big impact on the aesthetics of our roof tiles. The temperature difference in the kiln chamber is the specificity of the old kilns used in the 19th century. Tiles burnt in this way are the closest approach to the “original” Kent peg. The Kent peg tile is flat. Can be fixed with nails, aluminium or wooden pegs. The tile has square holes for fixing it.The typical dimension of Kent peg tile is 6 ” x 10 ” (150 x 250 mm). The Kent peg tile is available through our distributors – a list of locations can be found here.